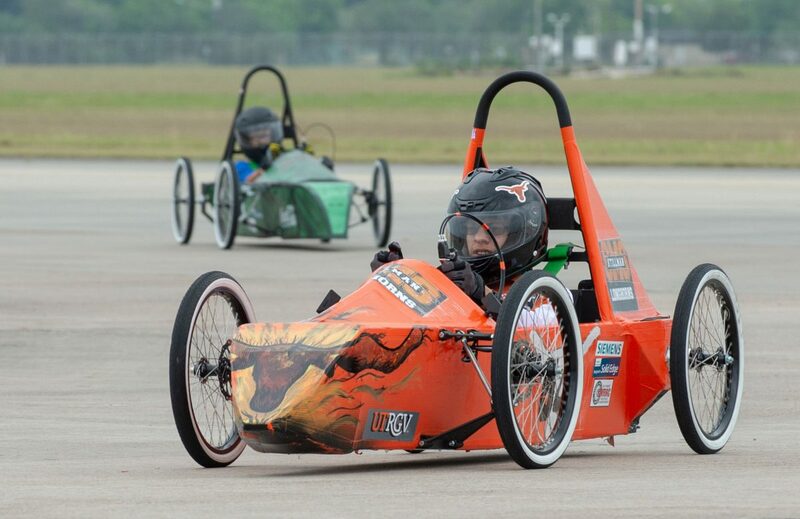 With the sweep of a green starting flag, Brownsville Mayor Tony Martinez gave the signal that officially revved up the inaugural HESTEC GreenpowerUSA South Texas Electric Car Competition on Saturday at the Brownsville South Padre Island International Airport. 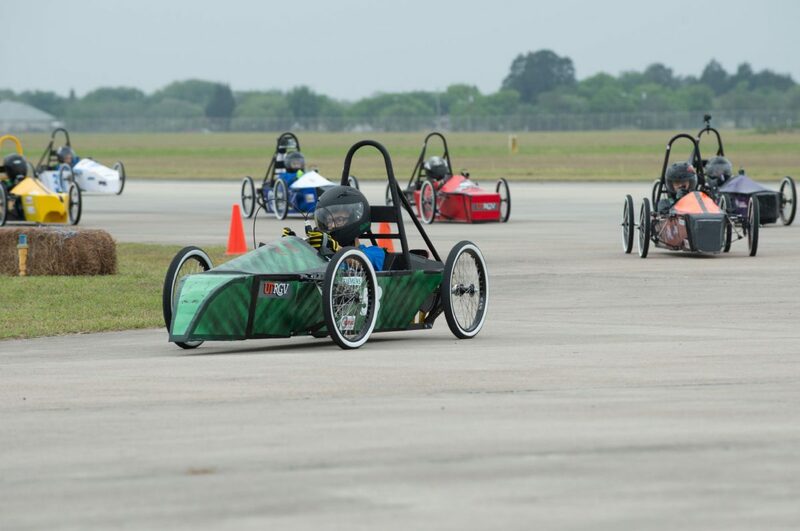 BROWNSVILLE — With the sweep of a green starting flag, Mayor Tony Martinez gave the signal that officially revved up the inaugural HESTEC GreenpowerUSA South Texas Electric Car Competition on Saturday at the Brownsville South Padre Island International Airport. 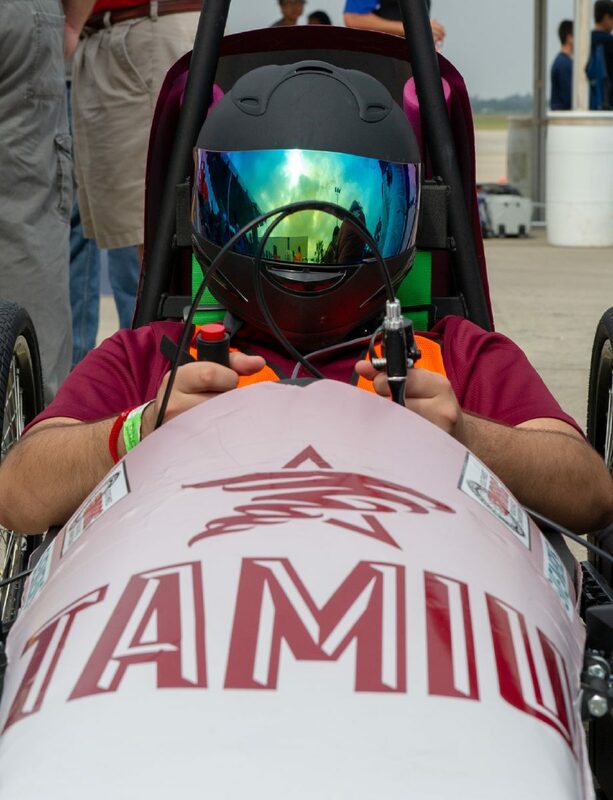 Thirty-one student teams in three categories vied to see whose electric car traveled the furthest distance around a race track in either 60 minutes or 90 minutes. It was the first event of its kind in Texas. Hispanic Engineering, Science, and Technology (HESTEC) Week is held by the university annually in October to promote higher education and introduce grade school students to role models in the sciences. “With this project, it’s just that other step up we wanted to take,” said Velinda Reyes, assistant vice president for Community Programs and Operations at the University of Texas Rio Grande Valley. 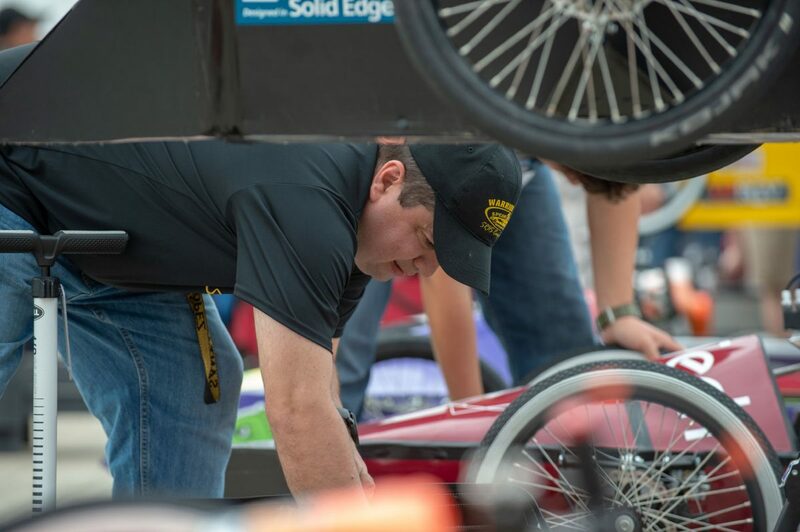 Reyes said the competition was the largest state-wide launch GreenpowerUSA has seen. The organization aims to promote sustainable engineering and technology by holding electric car challenges for students around the country. 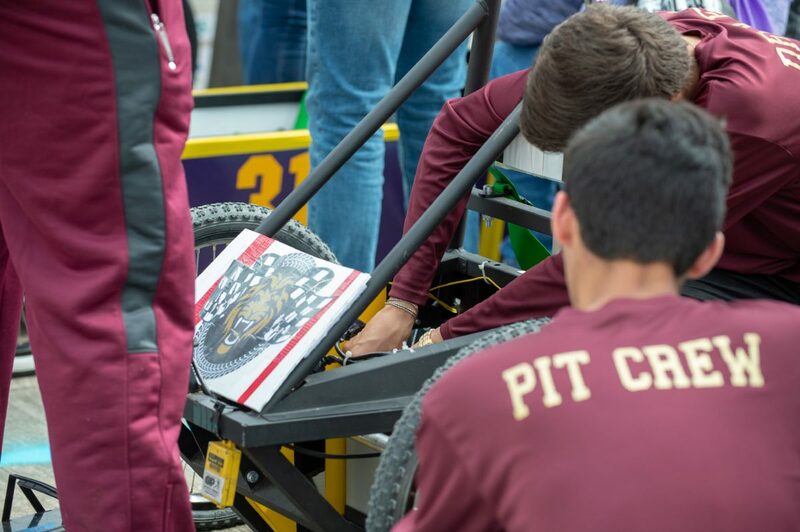 “They added things to their cars even GreenpowerUSA said they hadn’t seen in other parts of the country,” Reyes said of the student’s ingenuity. 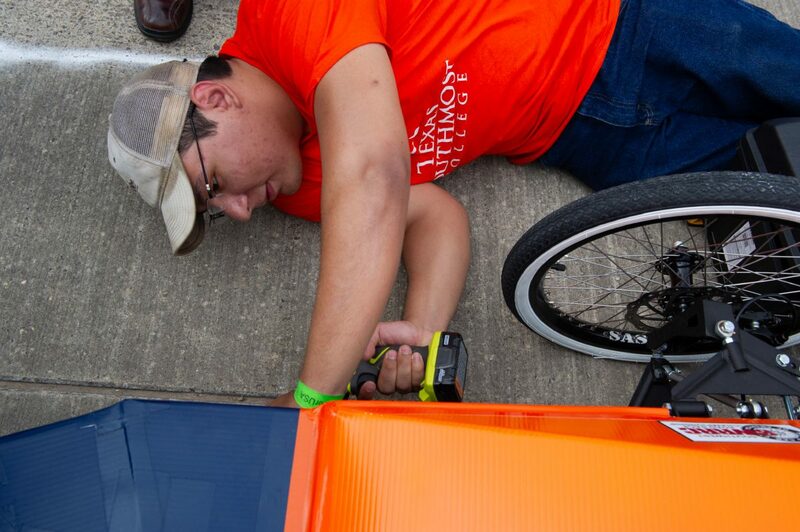 Tony Padilla, a StillmanMiddle School science teacher, said his team of seven boys and three girls had to learn a swath of engineering concepts for the competition. They worked on their car every day after its parts arrived in three boxes in mid-January. 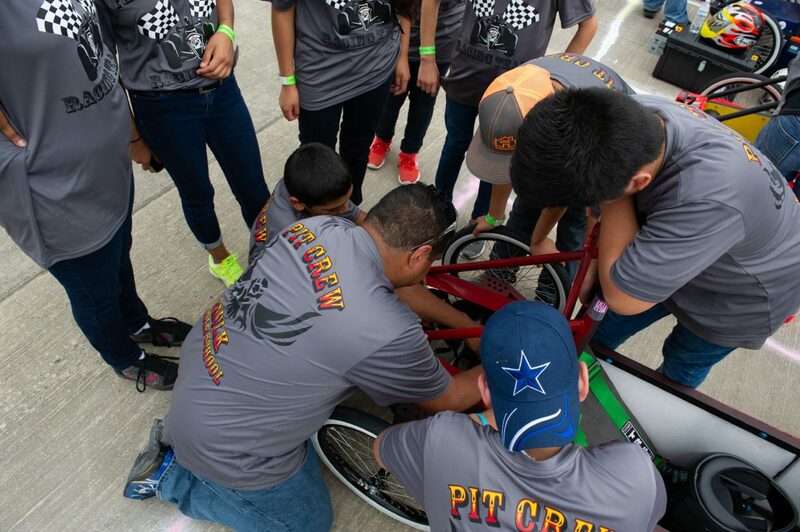 Cesar Suarez, 13, said much of the Stillman Middle School team’s focus was on aerodynamics. 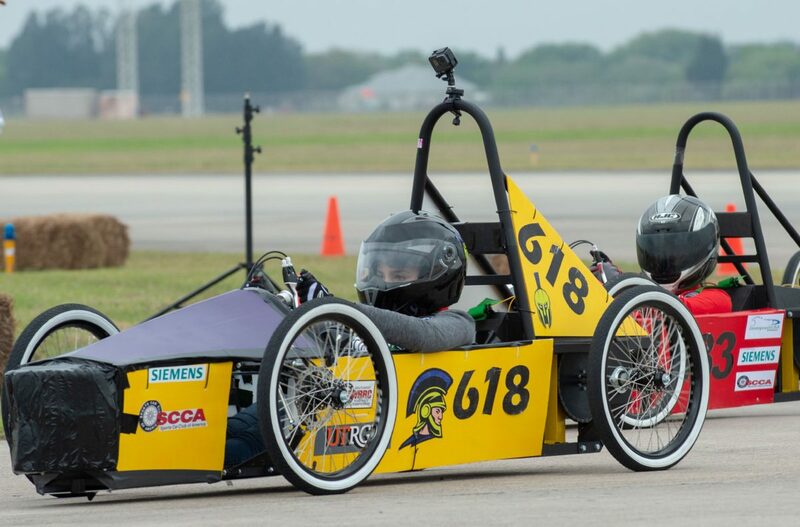 Their biggest challenge came the day before the competition, when a malfunction damaged one of their electric car’s sprockets and the vehicle stopped during a practice run. Another team volunteered to give them the part they needed. “Until then, we though we were over,” he said. His teammate, Matthew Figueroa, 11, said the Hanna High School team helped them identify the problem.